Hope is an interesting thing. I was thinking about a question of the day I recently read on depression. I know when I was depressed I saw no hope. On my best day I’m thinking there is great hope for a huge number of things. Almost whatever comes across my mind or plate that day. But most days are tempered with a bit of doubt mixed in with some hope. And the experiences of the day push it one way or the other at times. I find when I think about creating something my overall hope level goes up. And it seems to multiply either in more creative ideas or positive thoughts in other areas. I hope its a long time before I’d have to go through those doors again. Sometimes I can see hope where others see none. Sometimes I see none even though there is always some there. 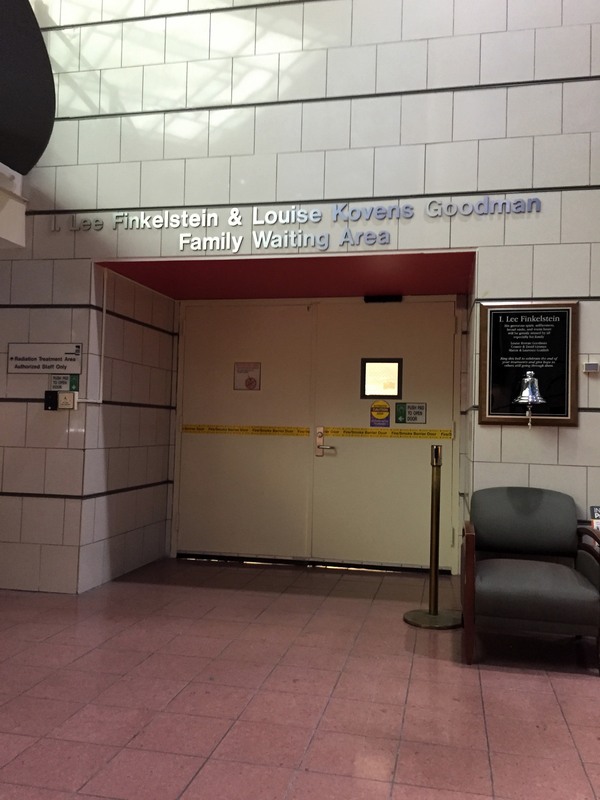 I remember thinking a lot about hope sitting outside these doors a few years ago waiting to be called back for the days radiation treatment. Usually I would start to hope that others were getting better because I felt like at least on the outside that I was the healthiest one in the waiting area. I could see hope on family members faces who would come with them. Sometimes I had to wait for hope from the patients. Maybe it was their names being called or when they were walking out after a treatment. Maybe a goodbye wave and a smile when someone on the way out would say have a good day. Some you might have to wait a few days before you saw that hope peeking out. Hope is so easy to have and so hard to have at the same time. You look around in traffic once in a while and you will find it hard to spot someone with hope of getting home on time. But I remember a few days after surgeries where I knew I could drive for weeks that I was hoping to be stuck in traffic again. When I’m calm, I seems easy to have hope. It’s hard to have hope when your tense. You can. For instance I had hope when the Terps were down in yesterdays game that they would come back and they did. I know I hope every day for the health and safety of friends and family. I know I hope for peace in the world and respect for each other. I hope for simple things like a smooth day at the job. I hope for a good nights sleep. I could go on, but then I might waste something good to hope for on another day. I’m not sure what this weather event was today but it came and went in no time. 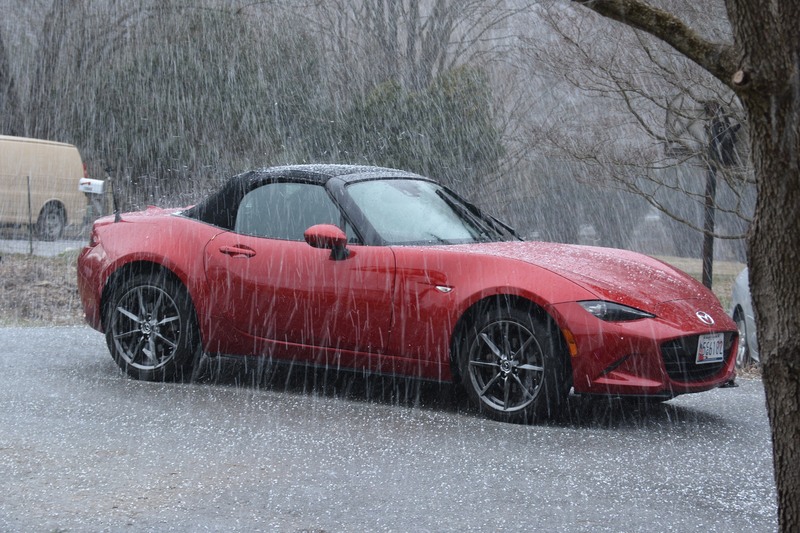 If I had to name it I would say it was snowballs. Very interesting few minutes this afternoon. 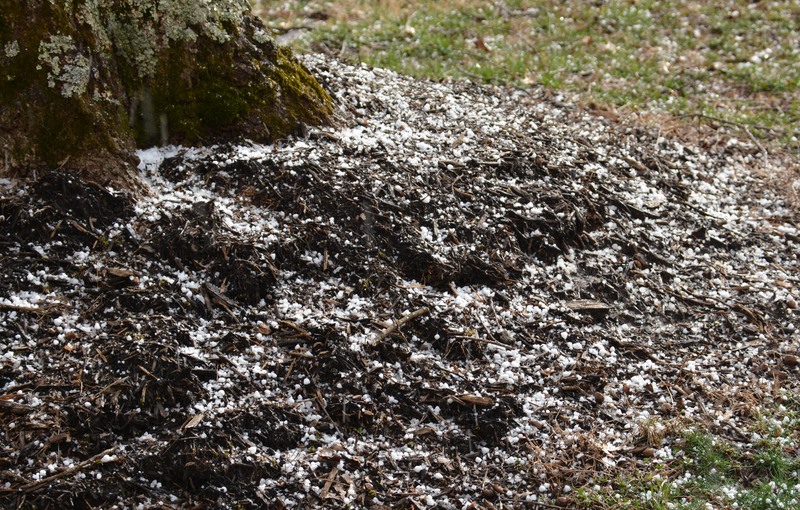 I guess mother nature was trying to tell me this wasn’t the weekend to put fresh mulch down. I wasn’t sleet, rain or snow. Snowballs on the 22nd of March. This just isn’t right. I wish my back had a backup. There is no such thing as too much basketball. 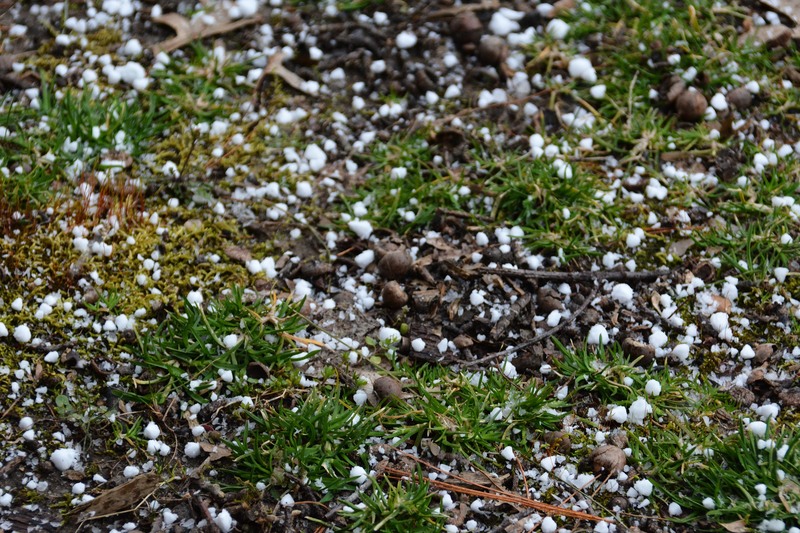 I read in The Post that the precipitation on Thursday was called graupel – which translates into snow pellets or soft hail. We did not see it here, we only had a tiny bit of hail. Thanks Kathy. Never heard that word before. And I thought I knew a good bit about weather. I love learning new stuff.